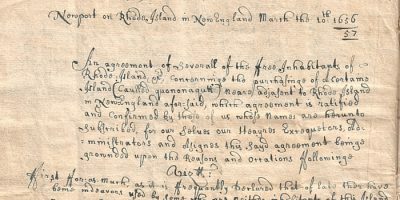 In March 1657, 106 men from southern Rhode Island - most of them freemen of Newport - prepared a prepurchase agreement that directed seven members of the group to negotiate with the Narragansett for the purchase of Conanicut and Dutch islands. 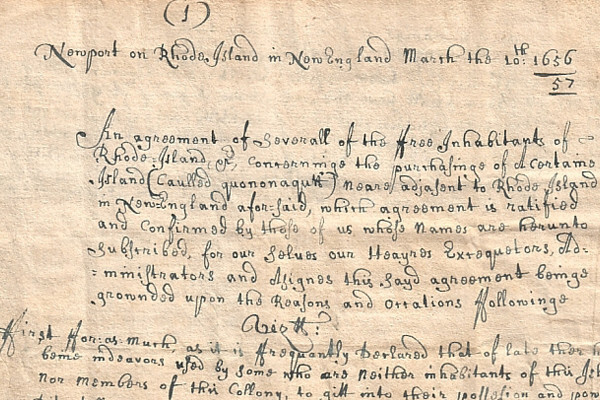 This Land Agreement document spells out the percentage of the purchase price - since the price had not yet been determined - that each signer would contribute and the percentage of the land that each would receive. 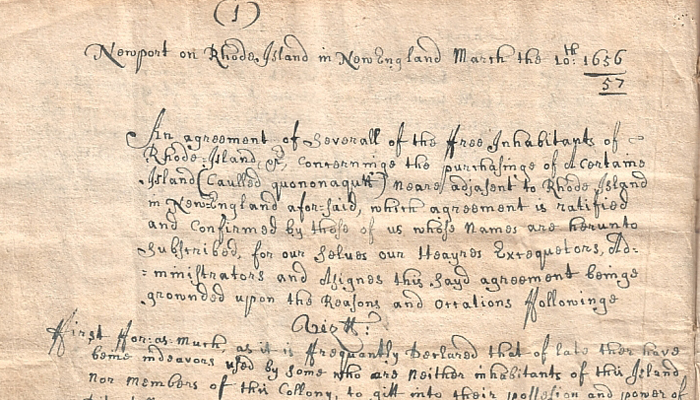 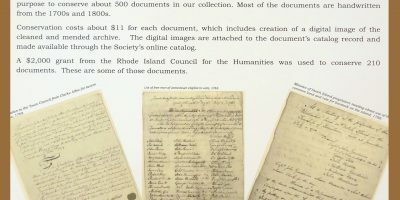 "A full and firm purchase"
In April 1657, the trustees contracted with Cashanaquont, the most important of the Narragansett sachems, to pay the equivalent of one hundred pounds sterling in wampum and peage and “several gifts of value" for the two islands. 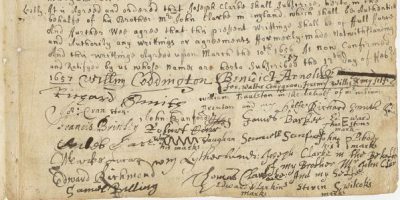 One hundred and one of the original investors signed the final agreement in February 1658, ratifying their contributions. 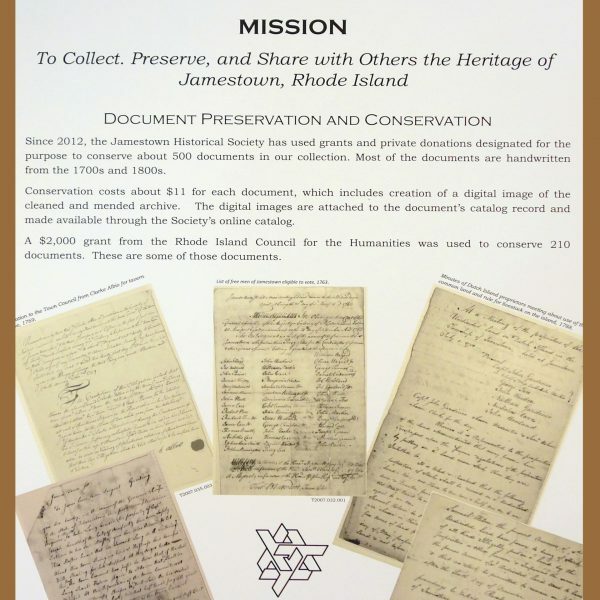 The original, signed prepurchase agreement was acquired by the Jamestown Historical Society in 2005. 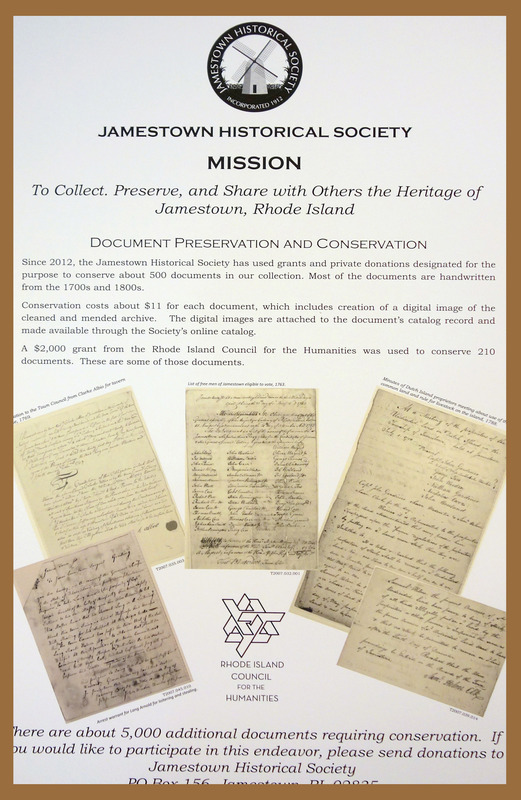 The document is on permanent display in a specially built cabinet on the first floor of the Jamestown Town Hall. 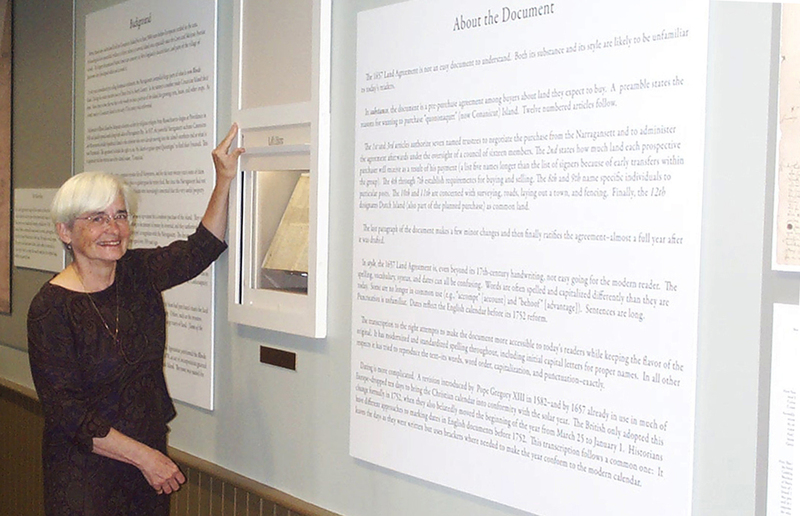 The exhibit also contains panels explaining the document, an image of each page of the agreement, and a transcript of it. 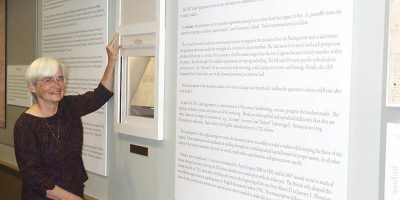 The Town Hall is open Monday through Friday from 8:00 am to 4:30 pm. 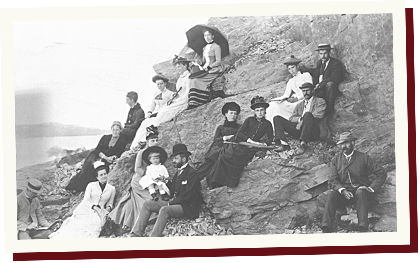 For an explanatory tour, contact the Jamestown Historical Society.